Full roast granules of high quality select coffee and chicory. This full bodied coffee is the perfect way to start a day. 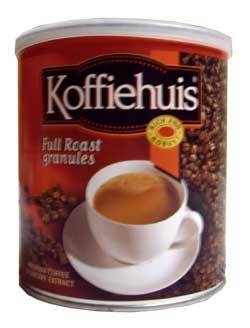 Koffiehuis has become a famous South African brand that is synonymous with welcoming, warmth, friendliness and hospitality.